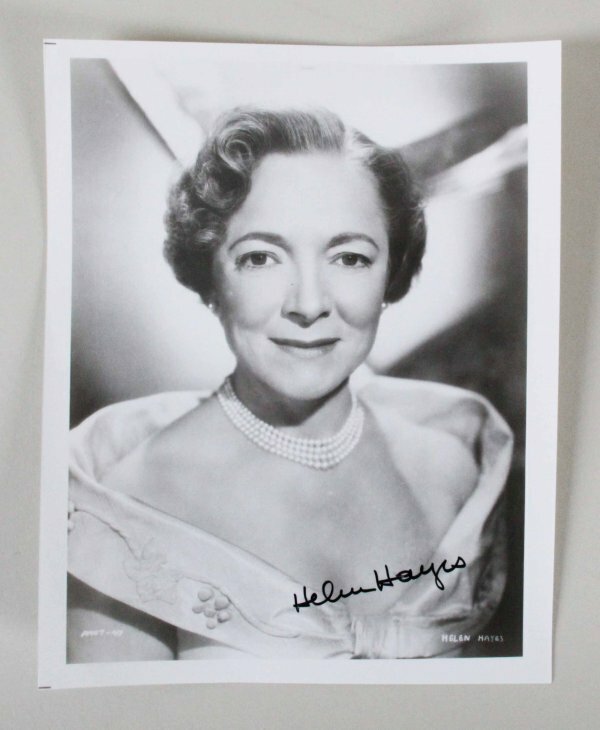 Helen Hayes was an American actress whose career spanned 80 years. She eventually garnered the nickname “First Lady of American Theatre” and was one of 15 people who have won an Emmy, a Grammy, an Oscar, and a Tony Award (an EGOT). Hayes also received the Presidential Medal of Freedom, America’s highest civilian honor, from President Ronald Reagan in 1986. In 1988, she was awarded the National Medal of Arts. 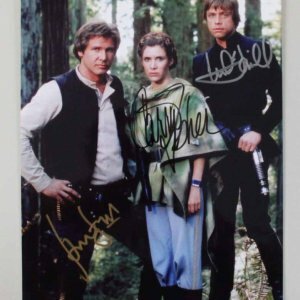 Presented is a black and white 8×10 studio photo of Hayes autographed in black felt tip (“9”) by the EGOT winner.